IMCDb.org: 1969 Mercedes-Benz C111 pre-launch design study in "RTL Wannahaves, 2009"
Amazing, I've never seen this car before. Unique in every way. Maybe some experimental vehicle. It has a mid engine, so it could be C111 based, but with totaly different styling. Anybody knows this vehicle? Never seen before, but a prototype for sure. 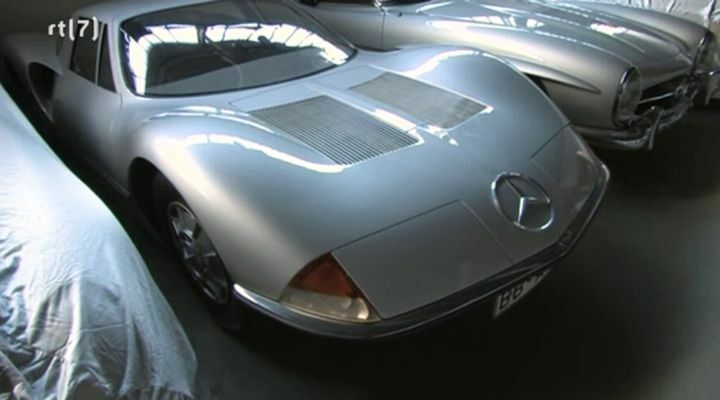 Mercedes-Benz C111 with experimental bodywork, the car was (or still is) hidden somewhere at Daimler Mercedes-Benz Classic Center.